Lightweight, Durable, quick drying, snug fit, and comfortable. Stylish strap all the way around. EVA foam outsole with Mush traction pattern. The bottom can wear out. The thin piece that connects the strap to the top-sole can poke. This is the summary of consumer reviews for Teva Men's Mush II Flip-Flop. The BoolPool rating for this product is Very Good, with 4.40 stars, and the price range is $19.95-$25.00. 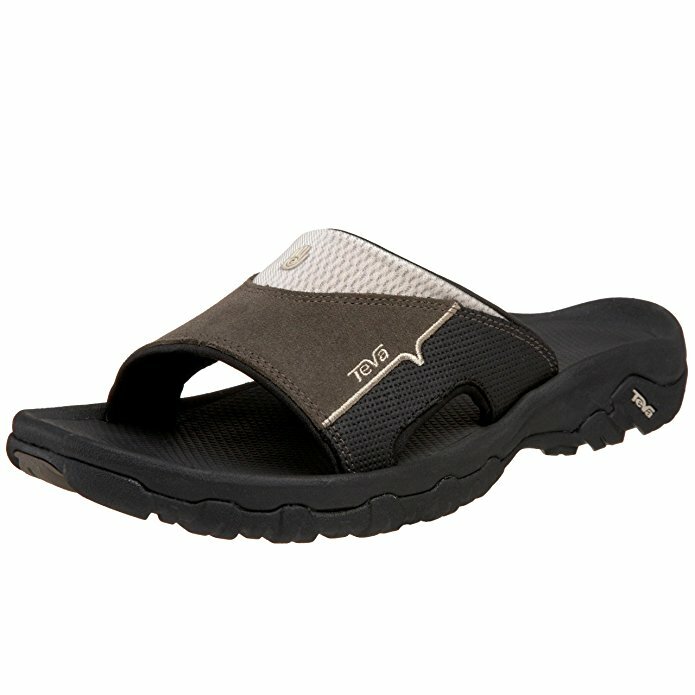 Slip into the relaxed and comfortable casual footwear Teva Men's Mush II Flip-Flop. It features polyester strap all the way around, three-point construction for durability, soft mush top sole arch support for comfort, and EVA foam outsole with Mush traction pattern. 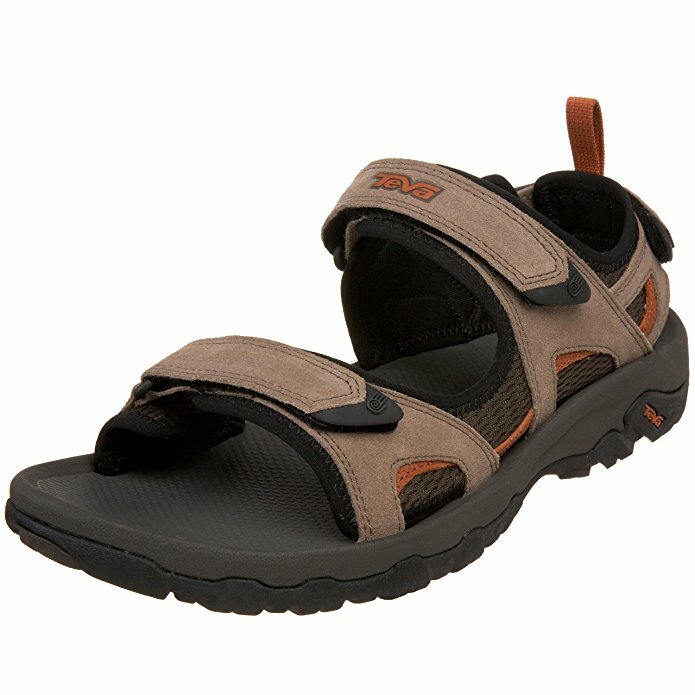 Users love and highly recommend Teva Men's Mush II Flip-Flop. They are thick, lightweight, snug fit, and comfortable. The design is cool, the strap has style, and the soles are soft. They look good on the feet. When wet, dries quickly. 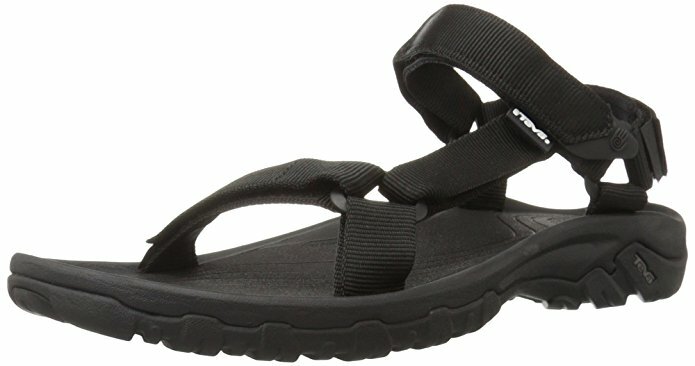 However, a few feel that Teva Men's Mush II Flip-Flop's bottom wear out, the thin piece that connects the strap to the top-sole poke through, especially when they are getting thin from lots of wear. 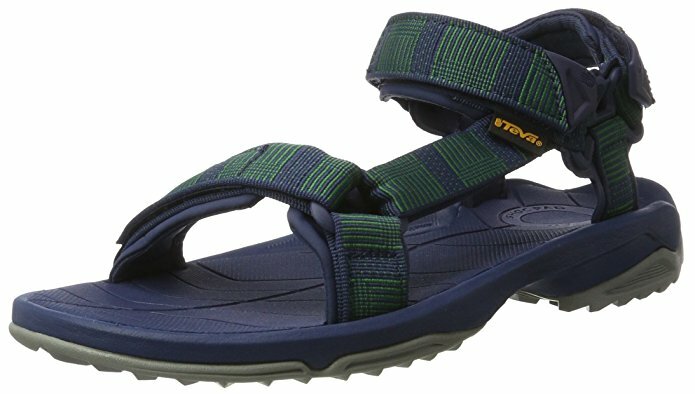 Overall, Teva Men's Mush II Flip-Flop is casual slip-on footwear that can be worn daily in spring and summer at home, beach, or around the town. Can wear them daily during spring and summer. They are the lightest flip-flops. Bottoms wore out. I wear these exclusively all summer, 24/7. I recently had one pair that lasted two seasons, which is pretty remarkable if you live in them during the summer months. I wear them daily during spring and summer. They're the lightest flip-flops I've ever worn, and in San Diego you wear a lot of sandals. Worn sporadically for the last month. Bottoms are already worn out. He's still wearing them into summer and pleased. I wear them around the house and pretty much all weekend during the summer so they do get a lot of use. I've bought multiple pairs of these sandals for over 10 years. Suspect they collapse in by mid summer and will need another pair. They are comfortable. Highly recommended. A good value for the strap style and comfort. The strap is comfortable, the design is cool, and the sole is soft. in fact probably the most comfortable pair i've ever owned. I bought a pair before, they're very comfortable but for the price the first pair didn't last long before it broke, didn't even make it through the summer and my husband isn't hard on shoes at all. These were very comfortable at first. I bought 2 more pairs in hopes they'll last and the last pair was just a fluke. Highly recommended and I'll buy another pair. I'd give these 5 stars if the first pair hadn't broken. Still, a good value for the strap style and comfort. I suggest this slipper because the strap is comfortable, the design is cool, the sole is soft, and scores a 5/5 for comfort. They dry quickly when wet. Soles are foam, the stick will poke through, especially when they are getting thin from lots of wear. Soles wear into your feet nicely. As for how long I can wear them comfortably, I can wear them longer than 2 hours, but I haven't tried wearing them all day. They're comfortable and a joy to wear. My wife won't wear anything else either. These are great when wet and dry well. I know you're always supposed to "wear in" new footware before taking them long distances, but I found myself in a situation where I'd to talk 10+ miles my first time wearing them. I love these, get about a year or so of wear out of them, I wear them a lot. Soles are foam, stick will poke through, especially when they're getting thin from lots of wear. I wear a 9 or 10 (US) depending on the manufacturer. Well, this may be a first, but I was wrong! They are thick. Nice looking, snug fitting, and light. My 1st 2 pair were Mush 1 Sandals. They're pretty thick for a sandal, which is good for me because I wear sandals everywhere and tend to burn through them pretty fast. I wear a 10.5 shoe and the 11 fit perfect. Nice looking, fairly snug fitting, and fairly light, (About 156g) but this sandal has an issue. Teva is my favorite open-toe sandal. These are my 3rd pair of Teva Sandals. If you ever walk in the rain with smooth bottom sandals, you'll quickly realize how slippery sandals can be. The sandals aren't as comfortable for me as all the reviews claim. These Mush II flip-flops are stiff. Overall, I like these flip flops because their comfortable. Personally, I'm going to look for another pair of flip flops that are more comfortable. I'm liking these flip flops, the sole is actually comfortable and has cushion. For the first few days, they're a little tight, but the flip flop starts to mold into your foot to become the most comfortable flip flop you'll ever own. This's my second pair of Mush flip flops from Teva. These Mush II flip flops are stiffer. The toe piece is also super comfortable, not at all stiff like you find in lots of flip flops. 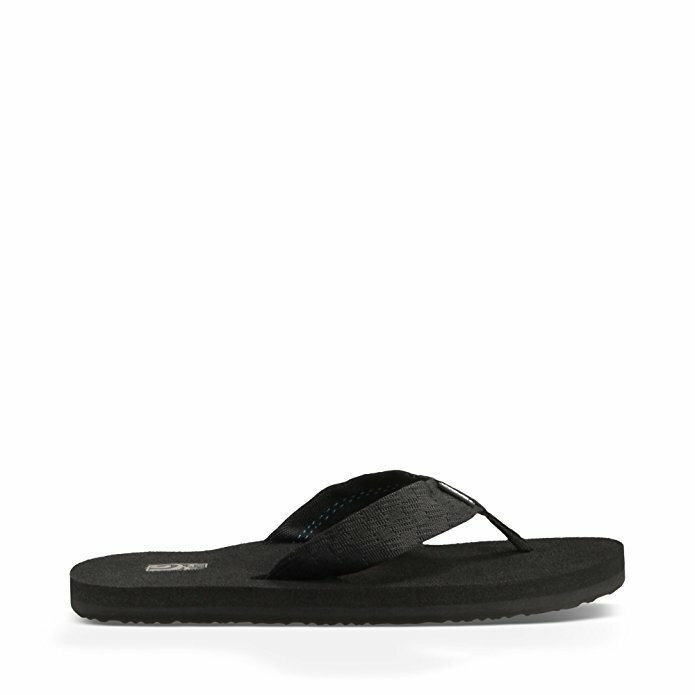 If you're looking for a comfortable flip flop - the most comfortable I've worn (and that includes Reef, therma-rest style, crocs, etc) - then grab some Mush!. I bought these flip flops one year ago.